Allison Parker of Feather Nest Photography is a newborn photographer located in Houston, Texas. Allison is passionate about capturing joy in her clients with her signature lifestyle portraiture. Digital files. Eek, it’s almost a dirty word to some these days. To sell or not to sell, that is the question. In this vast ocean of photographers and clients, that answer will be different for every business owner. From the West Coast to the East Coast, the spectrum of opinions will range as far as our weather patterns and hair styles. And, guess what… That is FANTASTICALLY OKAY! Just figuring out what the market will tolerate can be a job itself and make the straightest hair frizz out to Houston size. Miller’s rolled out their new Miller’s + Mpix Loyalty program last year and my clients have loved it. If you haven’t tried it out yet, Miller’s has added a Loyalty Dashboard to their website located under the Toolkit. With the Loyalty Dashboard, you can upload digital files from your sessions which will be placed in a “Shared Album” for your client on Mpix. From there, you send your client the link and they can order products directly through Mpix. You earn a 10% commission on every item purchased that uses your photos and you can track earnings, follow session activity and more. 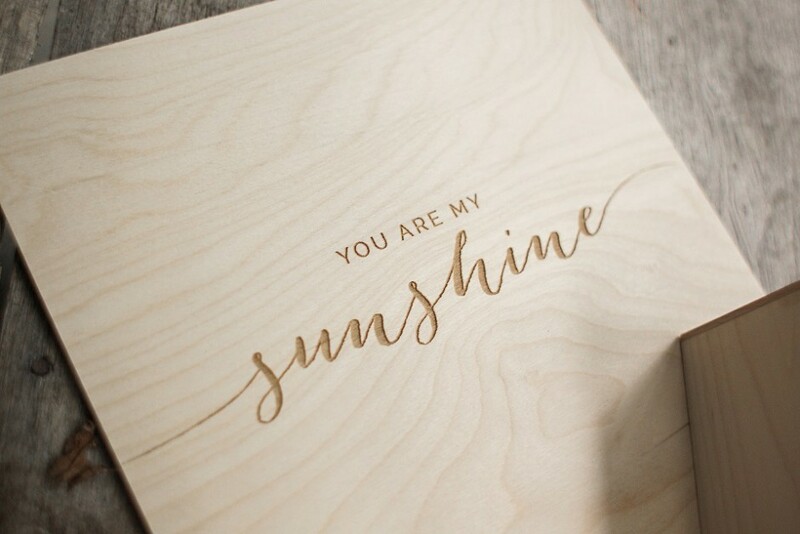 For my business, I choose to offer printed products and digital files (we all do this differently and that is COOL). 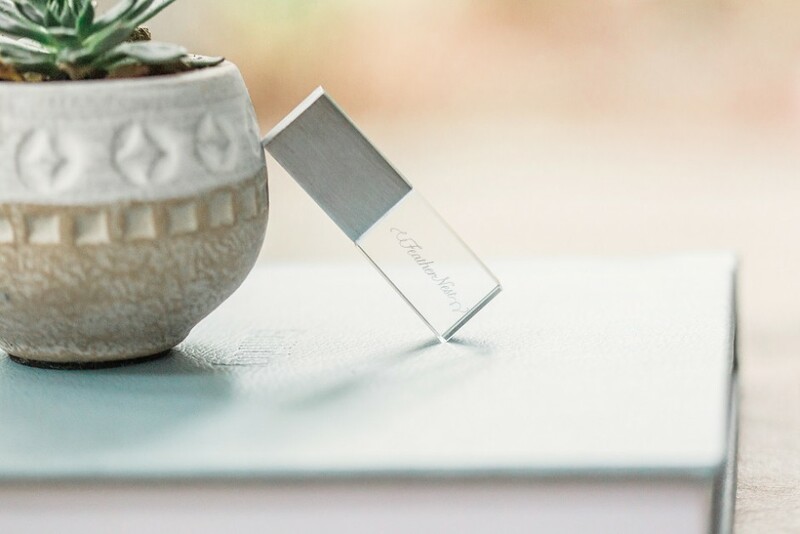 I offer one collection for every full session – it includes a Millers Signature Album and about 50 edited digital images on a USB. I give my clients detailed instructions about printing with Mpix and educate them to the difference in quality of my books versus something they could make elsewhere. My clients are serious about their books and know they are getting the best quality from me. I’ve worked with a similar price point and philosophy on artwork/digital files for almost 10 years now and it has worked like a dream for me. I have clients come back with their 2nd, 3rd, and 4th babies and they can’t wait to get their next book for their shelf. Still, if my clients had the choice between digital files or adding on a book, most clients would take the digital files and think “oh I can save money now and get a book later.” We all know that never happens. This is why I keep them bundled together and don’t offer them separately. Education also comes into the conversation here – my clients love their books because I LOVE books. I have educated them to their value and they buy what I’ve told them they’ll love. When I drop image files to their USB, I also drag and drop them into the Loyalty Dashboard at the same time. I send a link to my client saying, “For your convenience so you don’t have to wait on snail mail ;)” They loooove it! It’s super easy and convenient for us both and I know they are getting quality Prints from a lab like Mpix. Now for my favorite part – With the Loyalty Dashboard, I can creep on my clients and see if they actually ordered anything at all AND how much for example. How cool is that?! One of the things that I find most interesting is that it usually takes my clients weeks and months to order their small prints. I like to turn my work around in a couple of weeks and be done with a session. I would lose my mind if my to-do lists dragged on for months. The Loyalty Program allows me to focus on designing their book and moving onto the next client. 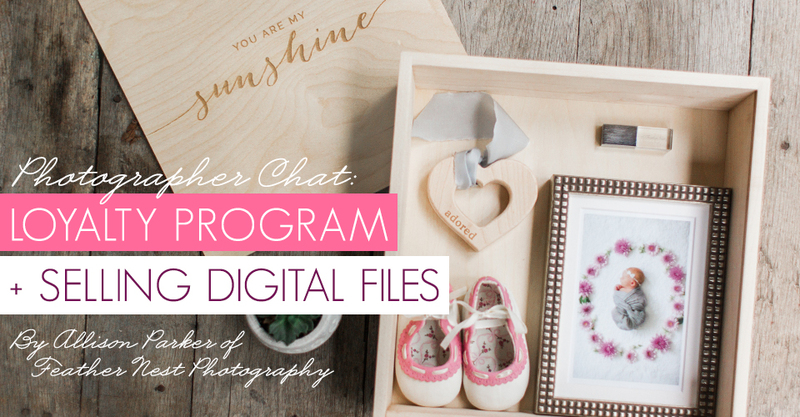 If you don’t currently offer digital files, I doubt this will change your mind. Totally cool. But, let’s just talk about all the ways you can use digital files to your advantage while providing benefits to your client simultaneously. My clients want digital files – heck, it’s what I would want if I was on the buying end. I do worry just like you however, that if we don’t sell files packaged properly and EDUCATE our clients along the way, they’ll just turn to someone who may unknowingly devalue digital files by not taking these things into consideration. It is understandably a hot issue – I get both sides of the argument. I feel like it really comes down to education, not if you sell them or if you don’t. If we aren’t educating our clients to the value of what we can offer them and the value of printed photographs, even from the initial inquiry, we are laying down and giving up. Whether it’s high quality artwork you believe in, artwork packaged with digital files, artwork only or *gasp* digital files only, you aren’t benefiting the general public if you don’t take the time in that first email to let your client know what it is you believe in selling. And just like I believe in educating my clients, seeing what my clients order with the Loyalty Program gives me a better understanding of what my clients want. Find what works for you and OWN it! To see more of Allison’s work, you can follow her Blog, Facebook and Instagram. I’m interested to learn how other photographers handle the sale of digital images. My question is, what is the difference between offering them the ability to order through Mpix and the ability to order off you Zenfolio site? If you’re already offering Mpix products on Zenfolio, is there a limitation in what is offered? Is it just easier for customers to order directly from Mpix rather than through the Zenfolio Mpix offerings? Thanks for sharing your ideas on digital files. I photograph nature and each photo is not customized for each person such as a personal photo shoot. Do you have a wordpress site that you then link MPix too? I am definitely thinking of offering digital files, but want to be sure that I am not sending my photos out into the world for everyone to use without paying for them. Hi Sonia, the biggest difference comes down to if you’re offering digital files to your client. If Zenfolio is the right solution for your business, that’s great! We introduced Loyalty Program as a way to give back to the photographers who already refer their clients to print digital files at Mpix. I hope this helps! I have been wondering the same thing as Sonia. It seems that you could link your Millers Loyalty Program with your Zenfolio account. It doesn’t seem like it would be different and my clients are already having the option to use Mpix. I would consider limiting my product line on Zenfolioto only to Mpix if I could link it to my Loyalty account. Hi Linda, with Loyalty Program you create a link that your client can go to view their images. You also have the option to protect your photos with a password to limit access. I enjoyed reading your. Article. I also sell my digital files. I am fairly new to the loyalty program. So far I really like it! Hi, I’m curious about bundled collections. I want to be able to offer both, like you do. Id much rather they get something tangible as well, if theyre getting mainly digitals. Right now, only my top level package includes digitals or they can order a separate digital-only package. The digital-only collections cost a lot more, but the clients pay for the convenience and ability to print freely. Do you offer more options than just the album packaged with digitals? Thanks for all the great information! At the moment I don’t use either Zenfolio or MPIX . So which would be easier..do I upload my session and send the best to my customers email ? Sonia and others, you have to remember that not all professional photographers use zenfolio. I love the Miller’s is now doing this, as I lost my online selling abilities when I switched web hosts. This enables me to make a few extra dollars, and not have to pay a fee. Of course, I only provide this service to clients whose packages already include digitals, like weddings. 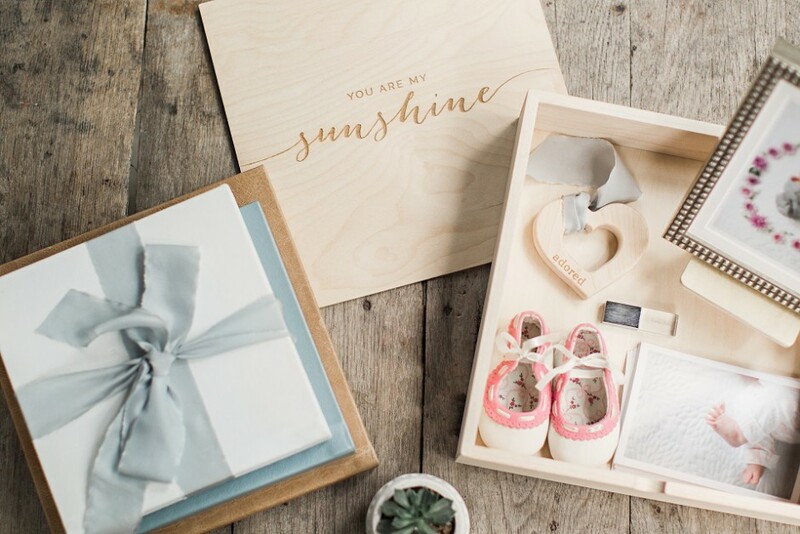 Can we talk about where you get your packaging, teethers, and booties?! I love your presentation!